Okay, I promise I will keep this short, but I truly love having my groceries delivered to my door every week. Especially in January. Especially when it’s -6 degrees outside and dropping. 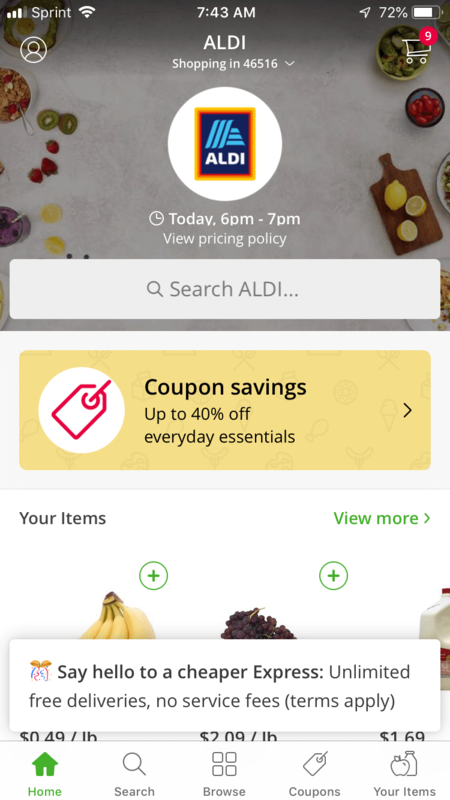 I like how I can order from Aldi from my phone or my computer. I can leave notes to the shopper/driver how green I want my bananas. So far, after probably five or six orders, I haven’t had any problems. Here in Elkhart, Instacart also shops at Kroger, but so far I’ve only used it to shop at Aldi. First, I click on the orange carrot. Then, I search for what I want. Last, I choose a delivery time and complete the order. When you first sign up, you get a free trial of 14 days. 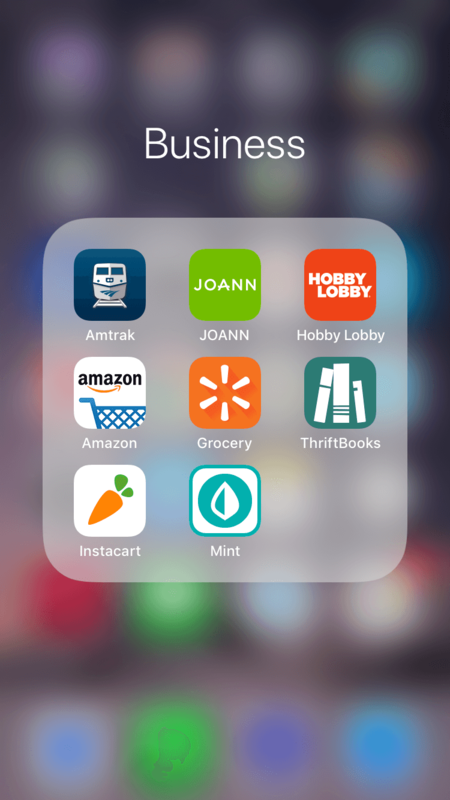 You then can either subscribe to Instacart by the month ($9.99/month) or by the year ($99/year). We did the math, and figured out that delivery costs from $5-$7 if we order once a week. The minimum order is $35, which is not difficult at all. When I signed up through my neighbor Carmen’s post, I was thinking I would subscribe for a year for $99. Then I discovered that you can subscribe for just one month for $9.99. I thought that would be safer, while we figure out if we will use the service. But so far? The answer is yes. The actual subscription cost is less than $5 per delivery, but a tip for the driver is added. Some of the shoppers use plastic bags which cost 7 cents each. A service fee is listed, but with the subscription I have not had to pay it. I think the service may bring down our grocery bill, too, but we don’t have enough data to confirm that yet. And, no, I am not getting paid to write this post. However, if you live in an Instacart location and sign up with my link, we both get $10. Hurray! Remember, you are just signing up for the free trial and if you really hate it you could cancel before the subscription starts. But I don’t think you’ll want to, at least not until January is over! Happy staying in a warm house while your groceries come your way! Yes I’m not sure that they go so far, but you could check by putting in your zip code. I haven’t heard of Aldi doing grocery pickup, but some Walmart stores do free grocery pickup. We checked the Walmart in Dunlap and they said they were hoping to get it soon. The Walmart in Elkhart and the Walmart in South Goshen have this service which I also use. I thought about blogging about that one too! I believe some Meijers, Martins, and Krogers will do curbside pickup for a fee, maybe $5. 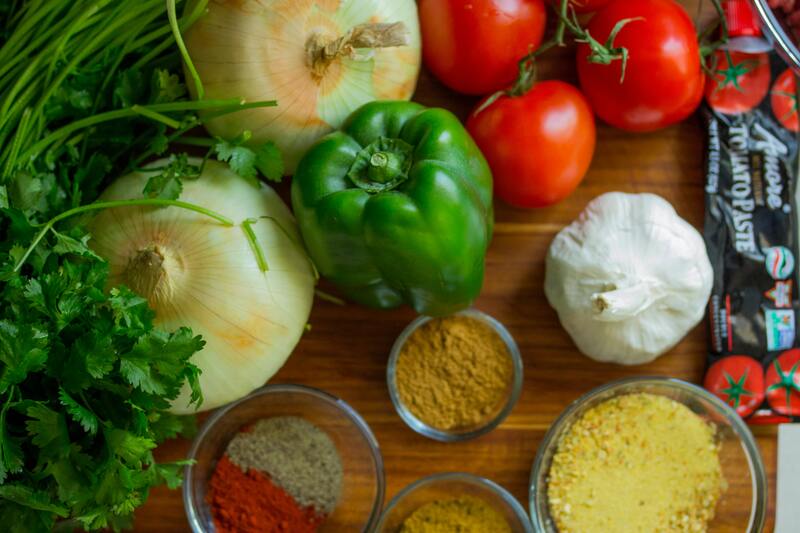 This was a great post and interesting to me because I just started working for Instacart this past week. 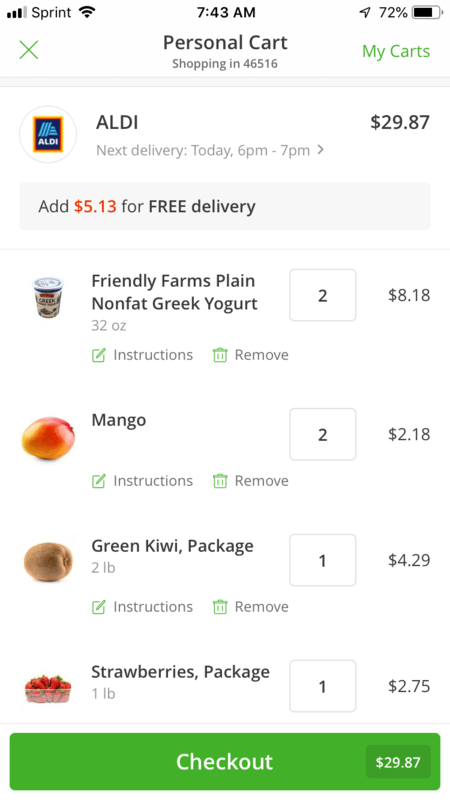 One nice thing you do can besides tipping your shopper is to leave him a 5 star rating because Instacart gives a small bonus for each 5 star rating. Thanks for writing! I don’t usually tip the driver when they arrive. I only tip on the order. Is that okay? That is very good to know! I have been giving 5 stars I think every time. Thanks for sharing that.